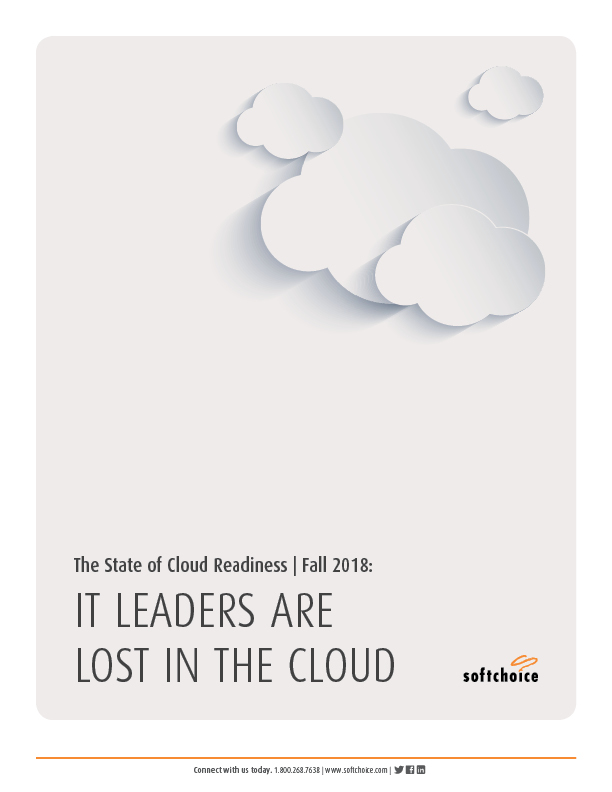 In this Softchoice research study, we surveyed 250 IT decision-makers across North America to understand how well their organizations prepared for cloud migration, and how their cloud performance has lived up to expectations after they’ve made the move. The study focusses on answering these key questions: What measures did your organization take before migrating to the cloud? How confident in those measures were you at the time? And how confident are you with your organization’s cloud management now? 82% of IT leaders modernized their data center in preparation for cloud migration. 83% assessed existing applications to determine if they were ready for the cloud. More than 70% internally communicated the business impact of moving from an on-premise strategy to a cloud strategy. 96% of IT decision-makers acknowledge a skills gap in their organizations. 57% have exceeded their cloud budgets. Only 36% of IT managers and directors are strongly confident in the extension of their security policies to the cloud.